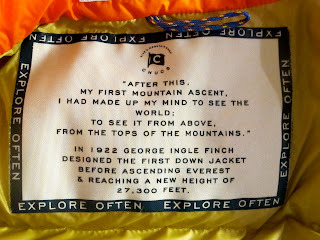 I love this quote by the legendary George Ingle Finch... It captures the passion and ingenuity behind the tremendous achievements of early Everest pioneers. My personal all-time favourite character is George Ingle Finch of the 1922 Everest expedition under General Charles Granville Bruce to Mount Everest. 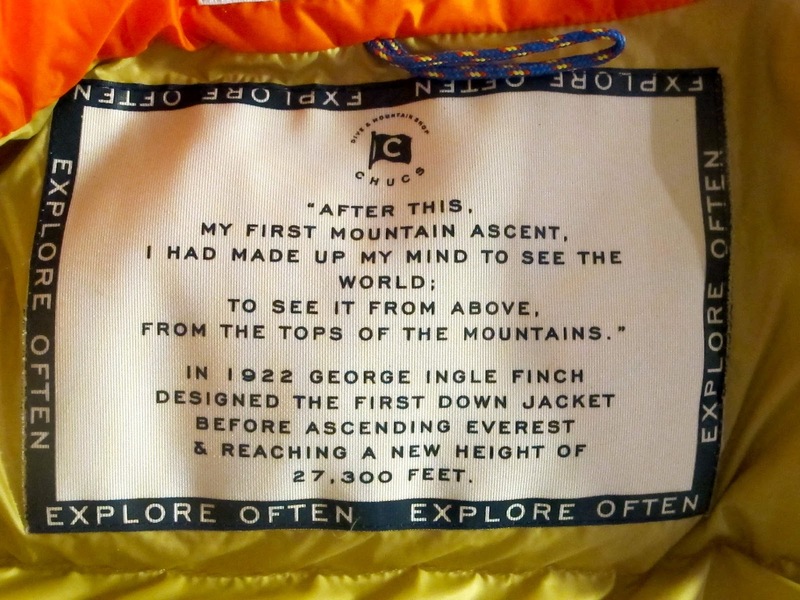 I'm reminded of Finchs' antics, achievements, creativity and the history of mountaineering on a regular basis thanks to the inside label of my cosy CHUCS down vest... Finch invented the down jacket and was one of the first to use supplemental oxygen on Everest...! 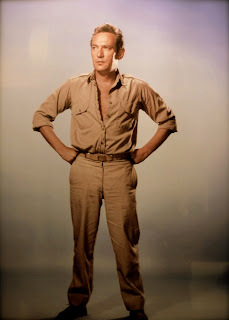 Little did he know what a trend-setter he (like his father, Peter Finch and grandson, Charles Finch) would turn out to be..! 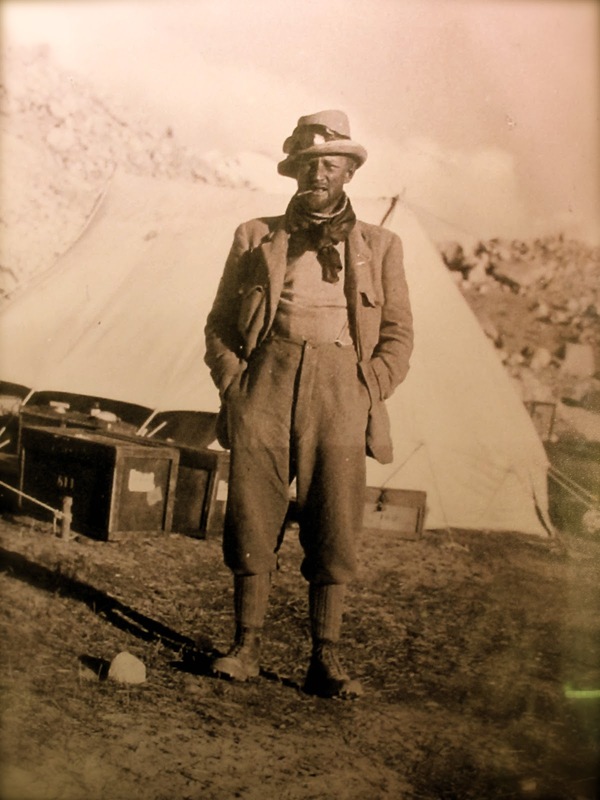 On 23 May 1922 Finch and Captain C. Geoffrey Bruce reached an altitude of 27,300 feet (8,321 m) on the north ridge of Mount Everest. Combining Hollywood glamour with adventure!